BRONZE JOHN . . . Yellow Jack . . . the Saffron Scourge . . . like today's residents who watch the hurricane tracking maps from June to December, New Orleanians then listened for the first whispers of outbreak. During the plague season, from July to October, as much as a third of the population evacuated the city. 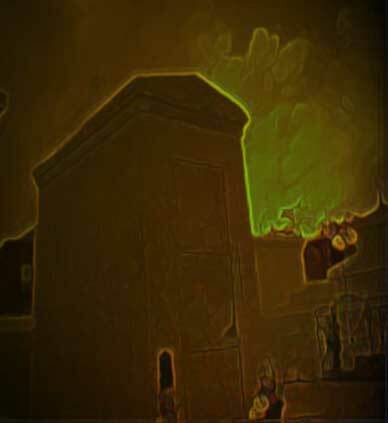 New Orleans is legendary as one of the most haunted cities in the United States … probably in the world. To understand exactly why this is the case, one must first understand the inherently different nature of the city, it's age, and some of the events that have forged it's character, make it unique among other cities founded during the same era of American history. New Orleans is one of the oldest cities in the U.S. and it’s foundation at the great Southward turn of the Mississippi River has made it a true cultural “gumbo,” echoing the famous local dish of seafood, meats and spices that has become synonymous with the Crescent City. Ruled in turn by Spain and France, two of the great cultures of continental Europe, New Orleans was, until the time of the Louisiana Purchase, the capitol of France’s Louisiana colony. Perched almost literally at the gateway to the Caribbean, which contributed both slaves and voodoo to the gumbo’s roux, New Orleans has the fascinating allure and mesmerizing heat of a tropical paradise. And like the great European cities that fell before the sickle of Death in the age of the Black Plague, New Orleans shares a similar cultural memory in one of it’s longest nightmares, the great Yellow Fever Epidemic of the 1800’s. In many places a brand of "Creole" French remains the language of choice, and over half of the city’s population proudly call themselves "Cajun," or more accurately descendants of the Acadien French who fled Nova Scotia when the French Colonies of Canada fell to the British in the 1760's. New Orleans is also sprinkled with a healthy dash of many other cultures including the Irish, the Germans, the English, cultures of Asia, and the remnants of Native American cultures that thrived in Louisiana before the European explorers ever set foot there. Bronze John . . . Yellow Jack . . . the Saffron Scourge . . . these were just some of the familiar names attached to this fatal disease. Like today's New Orleans residents watch the hurricane tracking maps from June to December, New Orleanians of that age listened for the first whispers of outbreak. During the plague season, from July to October, every little ailment was scrutinized for the first tell-tale signs of this New World Plague. Yellow fever is a mosquito-borne disease, and then, as now, New Orleans is a haven for these blood-thirsty insects. During an epidemic, mosquitos carry the virus from human to human. Within three to six days the first symptoms appear - fever, headache, vomiting and backache. As the disease worsens, the victim weakens, with fainter pulse. Blood in the urine and bleeding gums ensue. Jaundice also occurs as the disease attacks the liver, giving the victims the yellow color synonymous with the name of the disease. In the worst plague years, from 1851 to 1855, those who could - sometimes as much as a third of the city’s population - evacuated to the less urbanized areas north of Lake Pontchartrain or to cities along the Gulf Coast. At the middle of the century, the mortality rate among those left behind hovered at a near-constant 60 percent, and there were those who became susceptible to not only Bronze John, but also to smallpox, malaria and cholera. The most terrible outbreak came in 1853. The first victim was a newly-arrived Irish worker, taken to doctors with black vomit - one of the hallmark signs of yellow fever as it attacks the stomach lining. After a second victim died, officials followed the trail of disease to the emigrant ship Augusta, which arrived from Bremen, Germany in mid-May of that year. A third of the city's 150,000 residents evacuted town; as the epidemic worsened, more fled but many of these were already infected, and their flight spread the disease wherever they traveled. Containing it was a nightmare to local officials at their destinations who had the unenviable task of turning native New Orleanians out of their cities and towns, knowingly sending them back to a crucible of death. Those New Orleanians who fell victim had little left to content them except fervent prayers and the hope that God would spare them. But the disease was almost always fatal and too often, even God seemed to have turned away: it was as if New Orleans had become the graveyard of a nation. Child mortality before the age of five was staggering nationwide, and the situation was made worse in New Orleans by frequent outbreaks of yellow fever. One of the most prominent features of modern New Orleans is it’s numerous cemetaries, commonly called the “Cities of the Dead.” Ironically, the impetus for many of these legendary attractions can be traced to the height of the yellow fever epidemics of the mid-1800’s. At that time burial grounds around the city were few and woefully small. There were sections of the urban cemetaries that could be traced back to colonial times, and other burial grounds that had long been filled or outlived their usefulness. But Bronze John’s arrival seemed set to change all that. As thousands died in the brief months of the plague season, New Orleans' already scarce burial space was jammed beyond capacity. Many of the cemeteries that are now tourist attractions were once crammed with victims of the yellow plague. Priests and gravediggers made noble efforts at the outset to afford decent burial to each victim, but as the dead increased in number and began to show up in ever-growing piles of putrefaction outside the cemetary gates, mass burials were ordered. Most of the yellow fever dead were the anonymous poor, and these abandoned corpses were the first into the burial pits. But another unique aspect of New Orleans is it’s high water table, and inevitably the mass graves looked more like drained out ponds, and the seeping water would turn soil to clay and wash away the lime the gravediggers shoveled in. Not surprisingly, there was a rapid expansion of cemeteries as they struggled to stay ahead of the growing demand. “At the gates, the winds brought intimation of the corruption lurking within. Not a puff was not laden with the rank atmosphere from rotting corpses. Inside they were piles by the fifties, exposed to the heat of the sun, swollen with corruption, bursting their coffin lids…what a feast of horrors. Inside, corpses piled in pyramids and without the gates, old and withered crones and fat huxter women . . . dispensing ice creams and confections, and brushing away . . . the green bottleflies that hovered on their merchandise and that anon buzzed away to drink dainty inhalations from the green and festering corpses." The sheer mass of corpses often demanded quick and shallow burial. Bodies buried only a foot underground surfaced quickly during the torrential rains, exposing the public to the sight of their decaying neighbors. 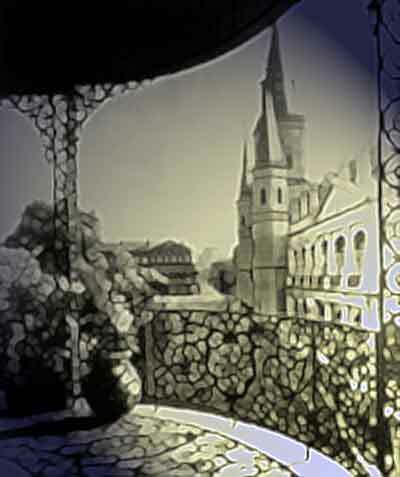 Because of fear of infection, funerals had been banned for years at St. Louis Cathedral in the very heart of the City. The Catholic church built a little chapel on Rampart Street. Called the “Mortuary Chapel” because of the dead that were piled in it’s alcoves awaiting Last Rites, it is now known as worldwide as the Shrine of Our Lady of Guadalupe. It, too, now ranks among the most visited sites in the entire city and lies within walking distance of two of the oldest of New Orleans’ cemetaries, St. Louis Nos. 1 and 2. During the height of the yellow fever years, many of the thirty plus Cities of the Dead were founded to receive the earthly remains of the wealthy and the poor, those of many faiths and no faith at all. Even the poor man’s plots, the potter’s fields like Hoyt Cemetary behind what is now Delgado University, were not immune to excess of decaying corpses. But somehow, the city managed to find room for one and all. Today these Cities of the Dead are a major tourist attraction receiving thousands of visitors year-round. They are the backdrop for motion pictures and the subject of photographic essays; they are the repositories of history and legend. 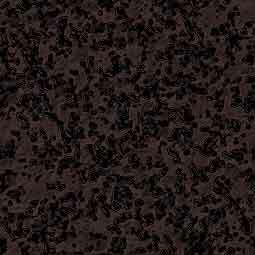 They are home to the fabled dead and, it is certain, to the restless dead whose last sight before death called them away was the hand of Bronze John closing their heavy eyelids. Various sources place the total number of deaths from the 1853 epidemic from 7,000 to 12,000. This, combined with similar totals from the other plague years brings the number of dead to a staggering total - and these are only the recorded dead. It took scientists nearly 50 years from the time of the great yellow fever epidemics to actually isolate the virus and tag the mosquito as the carrier. New Orleans, located below sea level, surrounded by swamps, and filled with aboveground sewers and stagnant runoff, was the perfect breeding ground for the tiny heralds of the Saffron Scourge. 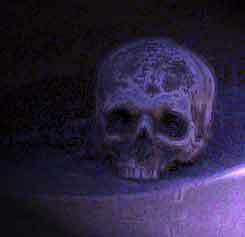 Haunted articles and photos regarding haunted New Orleans cemeteries. 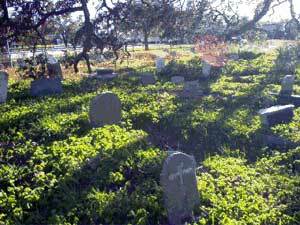 The Crescent city has several such very Haunted cemeteries for you to visit and explore. Rich in haunted history Cemetery tours abound. 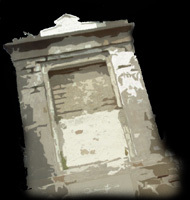 Please consider visit a Haunted New Orleans Cemetery on your next visit to New Orleans! You will truly haunt the dead if you do!